Hey hey hey! 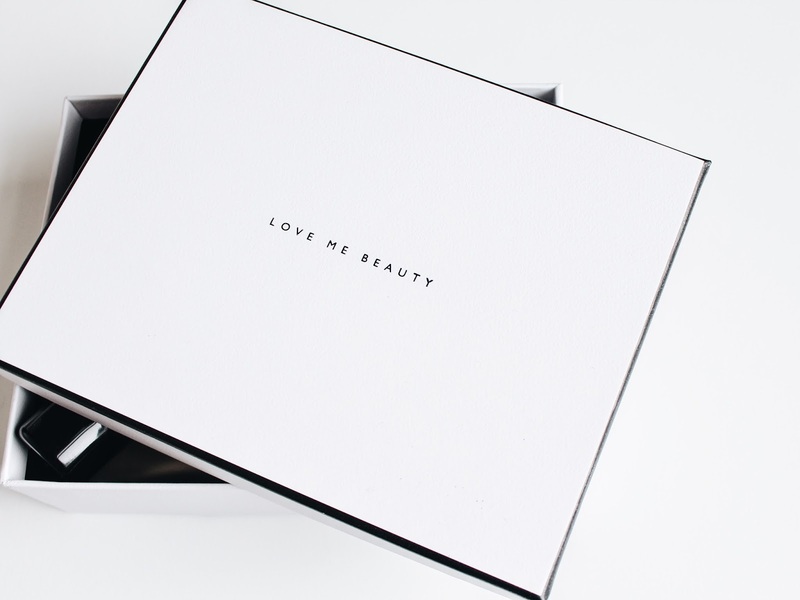 I got my last Love Me Beauty Box of the year and thought you'd like to take a look what's inside so here we gooooo! 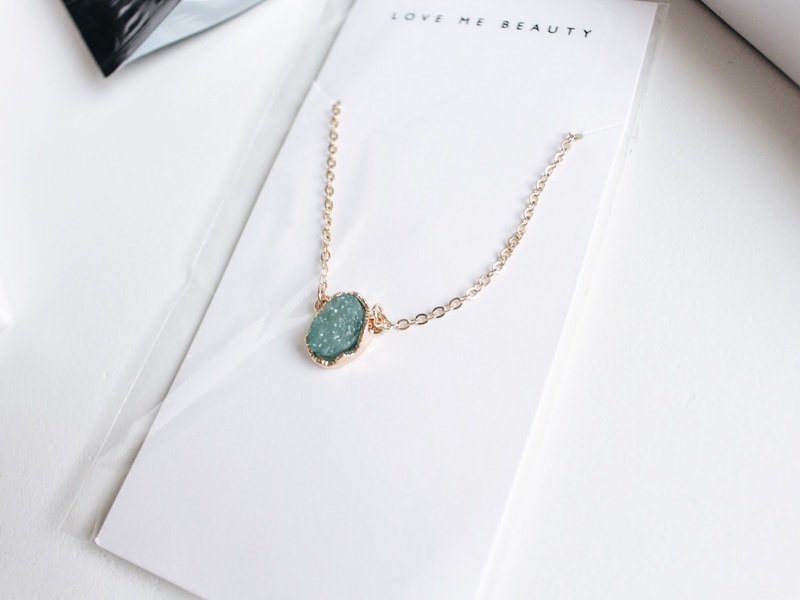 Something I've not yet received from Love Me Beauty is a piece a jewellery, so it was a lovely surprise to receive this lovely crystally necklace in my box. 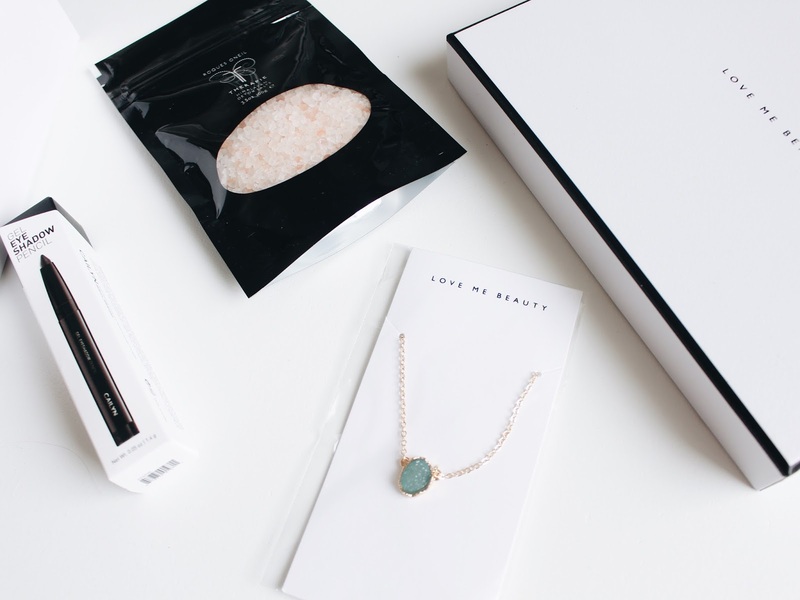 I love the gorgeous little stone and the contrast between the gold chain and the greeny blue is just lovely! I'm rubbish at hair care and tend to just use any old shampoo on my hair because they all seem to do the same thing for me. However, that doesn't mean I don't enjoy testing new ones out. This shampoo is said to help repair damaged hair and provide a transformation in texture and appearance - hmmmm, let's see how this goes shall we! I have wanted a navy blue nail polish for sooooooooooo long, you wouldn't even believe. I got so giddy when I saw this was in my box. I think I might even paint my nails this colour for Christmas hehehe! Gel eyeshadow? Is this a thing? Why haven't heard of this before? It basically says to simply glide the pencil gently onto the lid and create your desired look! hmmmm, I'm intrigued. 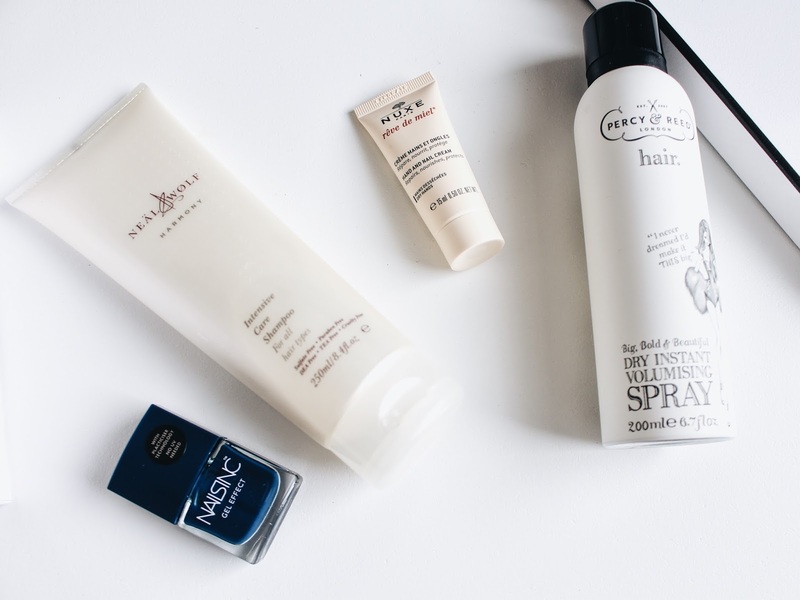 Who doesn't need hand cream at this time of year? This little pocket size tube from Nuxe is going to be perfect for freezing cold days out where my hands feel like dehydrated prunes. It's said to repair, nourish and protect - let's hope it does! I've never tried something from Percy & Reed before, so this excites me! Plus, i love the sound of this. It's said to plump up your hair in a flash giving you a head-full of body, bounce and volume - love love LOVE! So that's it! 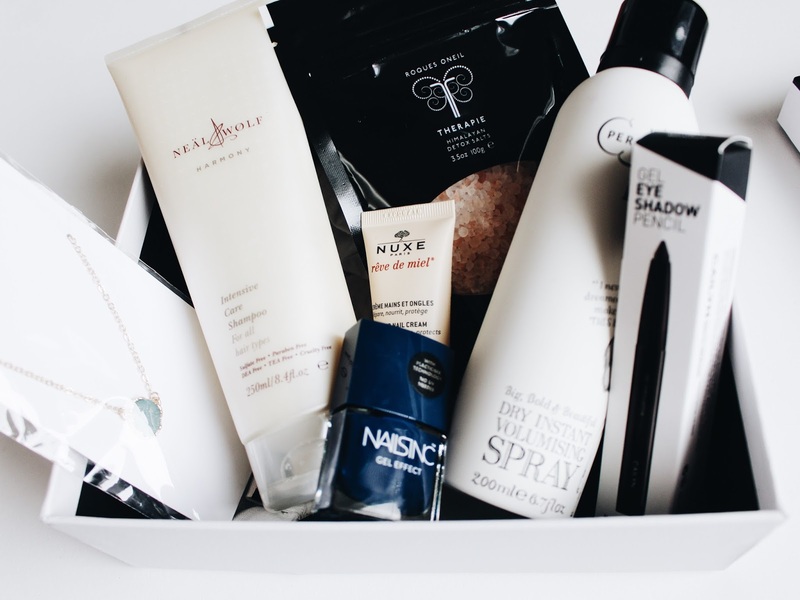 That's my last Love Me Beauty box of the year! Let me know what you'd like to try out of this box and which thing you think will be the best!